Smartphones are the embodiment of both the present and the future. They are so pervasive that we can’t even imagine ourselves without them, they became literally wired into modernity. In a blink of an eye (well, several years, but that’s not too much, let’s admit it) they not only became something defining zeitgeist, but supplanting other devices, that turned out defenseless against such a great invention. A computer’s not dead yet! Well, we’re now sure about that, but at a certain point in time, the threat was not to be ignored (perhaps, this was primarily the case for those, who took less interest in technology and tended to be easily influenced by such sentiments; even if it was so, it only testifies to the scope of conquering the market by smartphones). Even today, it seems sometimes that teenagers become computer savvy a bit later than it was several years ago (though, of course, such considerations need further research), still nothing can be worse for them if they lose or even forget their smartphones at home, that’s enough to start to panic. There is every reason to think that a smartphone is a fetish-like device and the sign of the times, both present and future. The idea of “smartness” is at the very core of the gadgets in question. If smartness is all about guessing your next move whatever it might be, then, broadly speaking, the development of the AI is a key to what next-generation smartphones will be able to offer. Of course, other changes will go along and, maybe, we’ll have smartphones with no display at all or moving towards VR-solutions, anyway, the trend of losing physical boundaries as a material object is very likely to stay for smartphones. 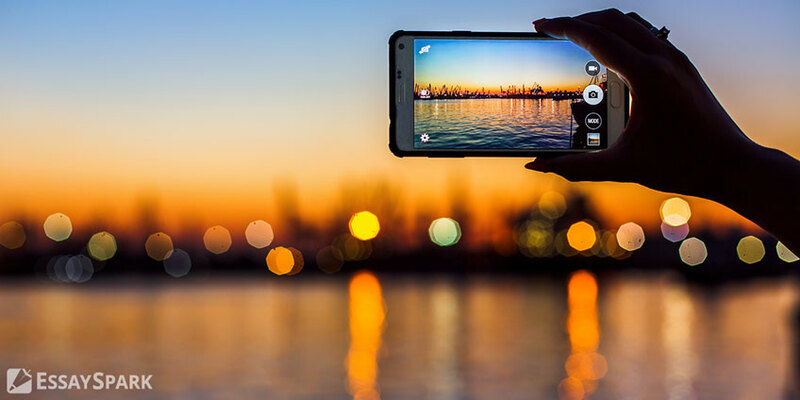 As far as we can see, there are actually two aspects for us to consider when we speak of the future of smartphones: technological and symbolic. As for the first one, it’s all about dimensions of displays and batteries, further development of wireless functions and other stuff, whereas in the second case, we examine the symbolic value and the extent to which smartphones will define our lives. With most thoughts directed towards the inches of displays and different form factors, the role of smartphones in our lives seems to be a topic way more important for discussion, as smartphones, like other things so indissolubly related to us, are able to tell us more about who we are, and our priorities in behavior as a species. And that’s already a philosophical issue.